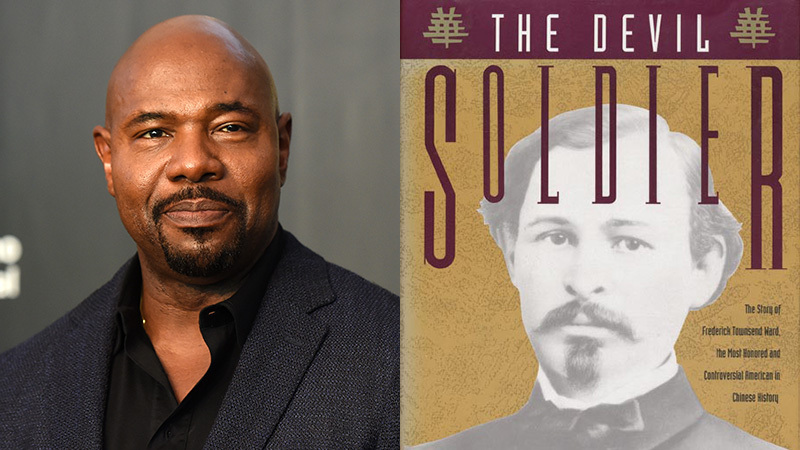 Antoine Fuqua (The Equalizer 2, The Magnificent Seven, Training Day) will produce and possibly direct The Devil Soldier, an historical-action epic based on Caleb Carr’s (The Alienist) best-selling novel, Deadline has confirmed. The Devil Soldier follows the American outlaw turned mercenary Frederick Townsend Ward during the Taiping Rebellion, which was a massive rebellion in China that was waged from 1850 to 1864 between the established Manchu-led Qing dynasty and the Taiping Heavenly Kingdom under Hong Xiuquan. Carr’s book, which has sold millions of copies since its release in 1991, traces Ward’s life fighting with Garibaldi in South America, William Walker in Central America, the French army in the Crimea, and specifically, in China during the Taiping Rebellion. Fuqua recently completed work on the documentary What’s My Name: Muhammad Ali and will also be directing the Suge Knight documentary American Dream/American Knightmare, which dives into the life of the Death Row Records co-founder as well as the volatile and highly influential era in music that he presided over. The filmmaker’s upcoming producer credits also include Foster Boy and The Man Who Made It Snow, the crime docudrama inspired by the true story of Max Mermelstein. Mark Earl Burman will produce The Devil Soldier alongside Fuqua on the ADME Studios project.